Srinagar : Morning fog added to the chill on Sunday as the 40-day harsh winter called 'Chillai Kalan' began nearing its end in the Kashmir Valley. Having started on December 21, the 'Chillai Kalan' will end on Monday, along with the traditional 40-day extreme cold in Kashmir. "There is already an overall improvement in the night temperature across the valley," said Sonam Lotus, director of the Met department. "This is because of the cloud cover that is likely to continue for another three days after which we are expecting another spell of light to moderate rain and snow," he said. The minimum temperature was minus 0.3 degree Celsius in Srinagar on Sunday. It was minus 1.8 in Pahalgam and minus 4 in Gulmarg. The official said the minimum temperature was minus 5.2 degrees Celsius in Leh. This indicated an overall improvement in the night temperatures in the state. 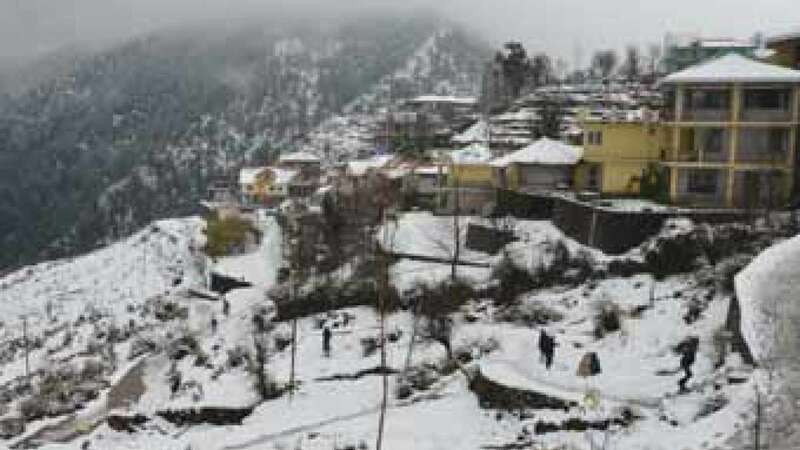 The minimum temperature in Jammu city was 9.5 degrees Celsius while it was 9.6 in Katra, 3.5 in Batote and 0.4 at both Bannihal and Bhaderwah on Sunday.